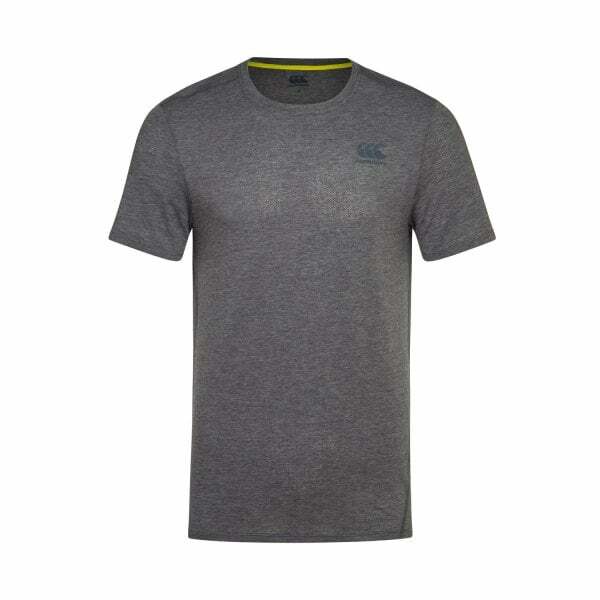 Offering comfort, breathability and enhanced performance, the VapoDri Performance Cotton Tee belongs in every active guy’s training wardrobe. Canterbury’s VapoDri Performance Cotton Tee is perfect for your workout needs, combining high-performance functionality with a relaxed comfortable fit. The pinhole eyelet fabric provides extra breathability, and our VapoDri moisture-wicking technology evaporates sweat faster to leave you cooler and drier while you train. This awesome tee also provides an ultra-comfortable fit, with the water-based print graphic retaining the natural, soft hand feel of the material. It also has forward facing side seams for greater movement, a back hem drop to stop garment rise during activity, and a low profile collar that guarantees a great fit, especially for those with an active physique.